Ritse M. Mann is dedicated breast and interventional radiologist at Radboudumc. He is an expert in breast imaging, with a particular focus on breast MRI, and is scientific leader of the clinical breast research group that aims at clinical validation of novel strategies for breast cancer detection and treatment. 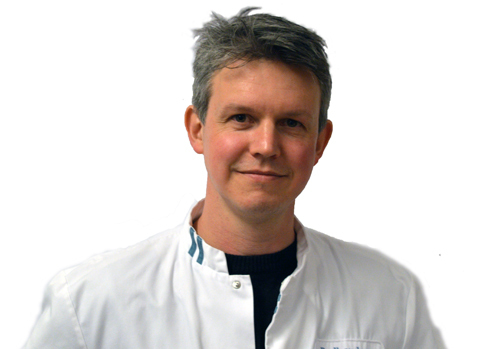 He is also course director of the annual Nijmegen Advanced Breast Imaging Course hosted at our institution.Ritse Mann graduated in 2004 at Utrecht University, and completed his PhD at the Radboud University Nijmegen on the effectiveness of breast MRI in invasive lobular breast cancer in 2010. From 2008 he performed his residency at Radboudumc, and he completed a fellowship in interventional radiology in 2014. Ritse Mann is a member of the executive board of the European society of breast imaging (EUSOBI), chairperson of its young club committee and member of its scientific committee. He is first author of both guidelines on breast MRI issued by this organization in respectively 2008 and 2015. In addition he is member of the scientific committee of the EUSOBI international breast diffusion club and member of the program planning committee of the EUSOBI annual scientific meeting. Furthermore, he was member of the subcommittee breast of the European Congress of Radiology (ECR) from 2012-2015, and is currently a member of the Breast Imaging Subcommittee of the Scientific Program Committee (SPC) of the Radiological Society of North America (RSNA). He is also a member of the EuroAIM workgroup on evidence based radiology hosted by the European Institute for Biomedical Imaging Research (EIBIR) and member of the advisory board of the Dutch Cancer Society. Ritse Mann is section editor Women’s Imaging of the European journal of radiology (EJR), and member of the e-learning editorial board of the European society of radiology (ESR). Ritse Mann currently focuses on direct improvement of care for patients with breast complaints by evaluating and optimizing radiological techniques and processes using machine learning, novel imaging tools and minimal invasive therapy.